SevenZer League is in its third edition. 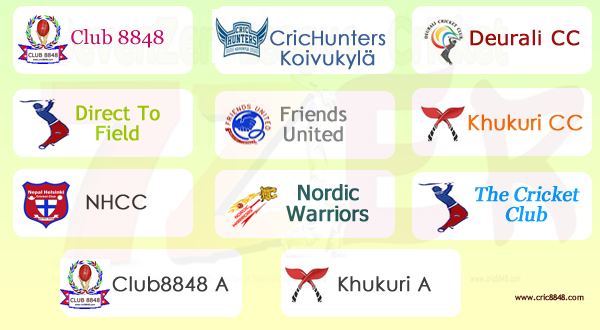 The shortest, Unique and entertaining format of cricket 'Sevenzer League' is immensely getting popular in Finland and around the globe. The third edition will play 11 teams league game. The previous version had 9 teams. Each team will pay 2 games each ,the top 4 teams will succeed towards knock out round of semis and final. Only 4 teams can have a maximum 2 wins. The standings and records will be totally based on CRICHQ application. Check on the below table for the fixtures and standings. Good Luck with the tournament . Play like a Gentlemen.